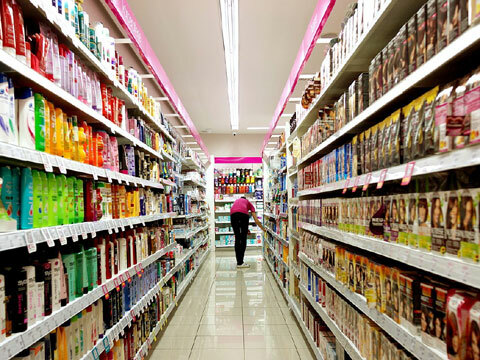 Less than a year after Goods and Service Tax (GST) came into full effect, most FMCG companies in India have seen an improved revenue growth, while most of the trade channels are returning to normalize from the GST aftershocks, a latest report has highlighted. According to the HDFC Securities Report, many factors have helped boost the operating margins for the sector including pricing power and supply chain efficiencies. According to the report, pricing power, lower commodity prices, supply chain efficiencies and cost optimisation have helped boost operating margins for the sector so far. However, this can further improve by about 150 bps in the next few years, led by higher revenue growth, rising premiumisation, GST-driven efficiencies and cost optimization. While the sector saw an annual revenue growth of 13 per cent in the last decade, the last 2 years had been tough for the FMCG sector with just 4 per cent revenue growth. However, a ‘mean revision’ is expected in the consumer sector with government shifting its focus towards boosting growth. The report also noted there there is significant scope for a mean revision towards its 10-year annual revenue growth of 13 per cent. Did GST bruise the sector? While many retailers and traders struggled to fall in line with the ‘one country, one tax’ rule in its initial stages, the report highlighted that the sector was bruised by unprecedented events like demonetization and GST in FY17.While retailers had now recovered from the GST shocks, the report further warned that macro indicators like rural wages, agricultural growth, minimum support prices (MSPs), job creation and RBI's consumer confidence index had not reflected a meaningful recovery. The report said that modern trade and e-commerce will continue to grab share from general trade, leading to better traction in the urban market, thus placing the sector for accelerated earnings. According to the report an expected shift in government focus from stabilising the economy to accelerating growth will take the sector to better future.